Playful and devoted, the Miniature Schnauzer was originally bred as a farm dog specializing in rodent control. Content in the city or in the country, it is a sweet and proud dog that loves attention. 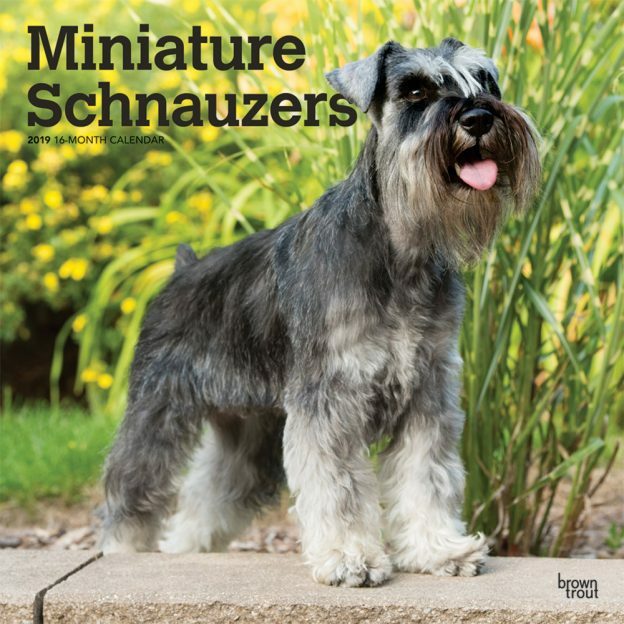 This square wall calendar offers a year of delightful photographs, a treasure for any Mini Schnauzer companion. This calendar includes a free download of the DogDays™ app for the smartphone and tablet, which grants access to the world’s most captivating dog photos and backgrounds, fun puzzles, and a calendar featuring your favorite furry friends.